Overlapping domain decomposition methods are efficient and flexible. It is also important that such methods are inherently suitable for parallel computing. 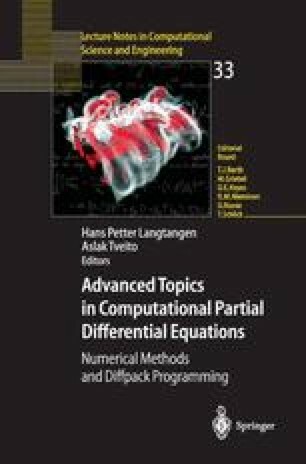 In this chapter, we will first explain the mathematical formulation and algorithmic composition of the overlapping domain decomposition methods. Afterwards, we will focus on a generic implementation framework and its applications within Diffpack.